The U.S. dropped a 5-0 decision to Finland in the bronze-medal game at the Olympics and will leave Sochi without any hardware. It’s a bitterly disappointing end to a tournament that started out as well as the U.S. could have expected. Despite all of the raised expectations from the preliminary round, the U.S. failed to score in either of its last two games in Sochi and will have plenty of questions to answer when looking back on what went wrong. The game started out well, with the U.S. generating chances and carrying the play for at least the second half of the first period. However two goals 11 seconds apart in the second period from Finland put Team USA on its heels and it never recovered. It was an unacceptable result. To have gone from one shot away from gold in 2010 to no medal at all four years later is simply stunning. There will be plenty of second-guessing and plenty of debate going forward, but it doesn’t change the fact that Team USA had a capable team. The performance did not match the ability and to have that happen at the Olympics is simply unacceptable. I’ll have more thoughts on the Olympics as a whole in a few days, but here are five brief thoughts from the game. 1. The U.S. had multiple opportunities to prevent this result. For much of the first half of the game, Patrick Kane was one of the best forwards on the ice for either team. He was generating some chances and getting the puck into the zone well. He also had two penalty shots. He missed the first one just wide and the second hit the post. After that second miss, Kane looked beside himself on the bench. He was snake bitten in that game and it’s been rare he’s struggled to produce like that. I don’t think he played poorly in Sochi, but the results weren’t there and that has to sting for a player as good as Kane. 2. The U.S. had jump early and they were really good in the first period. They had a bad defensive breakdown midway through the first and couldn’t clear any pucks, but they protected the net like crazy with Ryan Kesler even blocking one off the line. Quick was fantastic in that sequence. There were guys laying out and blocking shots, throwing the body. If they could have sustained that effort, the result would have been different. 3. Why couldn’t they sustain it? Well those two quick goals flipped the game on its head. Defensive miscues on each led to back-to-back rushes and from then on the U.S. was pretty much dead in the water. Any time Finland gets a lead, they become incredibly difficult to play against. All the time and space the U.S. had in the first was gone and there was no adjustment to get away from it. 4. The U.S. had five shots in the third period. FIVE. In a period they started by trailing 2-0 with a medal on the line. There was just no response from the U.S. and all they have to show for it was an embarrassing result. It’s not embarrassing to lose to Finland, a good team with great goaltending, it is when a team plays like USA did with a medal on the line. That effort in the first was great, but it needed to be there when the game got tougher and it wasn’t. 5. I think it is very, very dangerous to make sweeping assessments of where the U.S. is as a hockey country based on results at the Olympics. There’s no question, the American record in Olympics in the NHL era should be better. Two medals in five Olympics is kind of shocking, or at least it should be shocking. Undoubtedly, the U.S. should be better. Two games where this team underperformed at the worst possible time does not define the U.S. system, though. I look at the growth of the game in this country, the number of NHL stars coming from the U.S. and the quality of players coming up through the ranks and I see a hockey country far better off than it was a decade ago. It’s worth repeating that there’s a lot of room for improvement. The numbers suggest the country should be producing more top level hockey players, but there has been progress despite a lack of success at the Olympics. This doesn’t erase or downgrade any of it. Whoever says otherwise is not paying attention to the litany of other indicators available. This is a bitter result and should be treated as such, but I think it’s unfair to assign the last two days of hockey too much weight. This Olympics will be classified a failure and missed opportunity. Perhaps its a good thing that fourth place isn’t good enough, but it’s hardly comforting for anyone involved in American hockey. This is another mishap in a line of too many in recent years. That said, I don’t think it’s a sign of regression and definitely don’t view it as a sign of things to come. This tournament is going to have to be studied and audited completely, so that a team with as much talent as this one can find ways to succeed where this one failed. A medal would have been nice. Instead, the U.S. got a lesson and now they have to learn from it. There is no consolation in this that I can see. It is very disappointing. Granted the format of international play can result in some upsets; still this smells more of a pattern than of an upset. Overall, I don’t see too much positive coming out of these Olympics in any sport, as the overall results from curling to speed skating are just plain embarrassing. My passion and time is spent on growing the game of hockey though, and the men’s and women’s results are just downright disheartening. I guess when you have the entire media and country focused on one sport (football) practically 24/7 for the entire year, eventually the results of that will come home to roost in the other sports eventually. It is time for us at the grassroots level to get back to work. John you sound so negative because your country did not come home with a gold medal in hockey. Come on man the girls came home with a silver medal and the guys were the team to beat right from the beginning. On another note your right about grassroots. If you want to be as good as the Canadians you need to focus from the grassroots up. Besides with the climate that we have up here what else are we going to do when it’s -40C for 9 months of the year? John, pleeeease. You sound like that Norwegian speedskating,…bobsled….curling ????? Coach telling that lady reporting why we don’t measure up…….because we focus on a “silly game like football”…… Who the heck ever signed a 100 million dollar contract for speedskating?.. Talk about silly sport. & remember, the Olympics r held every 4 years so the little snowy countries can take cheap pot shots at our (us) awesomeness …. Let them eat cake. The US boys are disappointed, yes, but they should be proud that they were chosen to represent their country at the Olympics. People can say the US men broke down here or there, but the truth is, they played two teams (Finland & Canada) who were better than they were. I will start right off by saying I’m writing this from the perspective of a Hockey Canada supporter. Hockey in Canada is a culture, lifestyle, people’s lives revolve around it; we grow up watching Hockey Night in Canada on National TV…the US National television networks (NBC etc.) didn’t even televise the US men’s game, it was televised on the cable network NBC Sports…Really !!! For God sakes man, over the Christmas Holiday (in Canada) when I walked my wife and daughter into the nail salon (filled with Asian nail techs) they had the WJC on the TV. I dare say most Americans don’t even know what the WJC is. It starts with the culture and the kids, and I doubt outside of some pockets in the US, you will never have it. We play on outdoor rinks, dreaming about playing for our favorite CHL team, hoisting the Memorial Cup, and then eventually the Stanley Cup. Our kids have hopes of playing for the local junior team(s) such as the Windsor Spitfires in front of several thousand fans. Our kids don’t have to leave home to play Major Midget, or even go far to play Junior A. On Friday, Canada vs. USA, our kids elementary school (6th, 7th, 8th grades) mustered in the gym to watch the game, US kids probably didn’t even know who won until they got home…if they even cared. USA Hockey has this idea, or perception maybe, that the best US Junior aged players are going to play for the US NTDP, go play NCAA, be an impact player in the NHL, and finally an Olympian gold medalist. Contrary, Canada’s concept of a national developmental program equals the CHL; a league that places more kids at age 18 into the NHL, a league that places more players into the NHL than any other in the world. We don’t rely on one single program; we rely on the municipal programs, city leagues, coalitions, and then ultimately the CHL to get our elites to the leagues (AHL/NHL) they can grow into professionals. 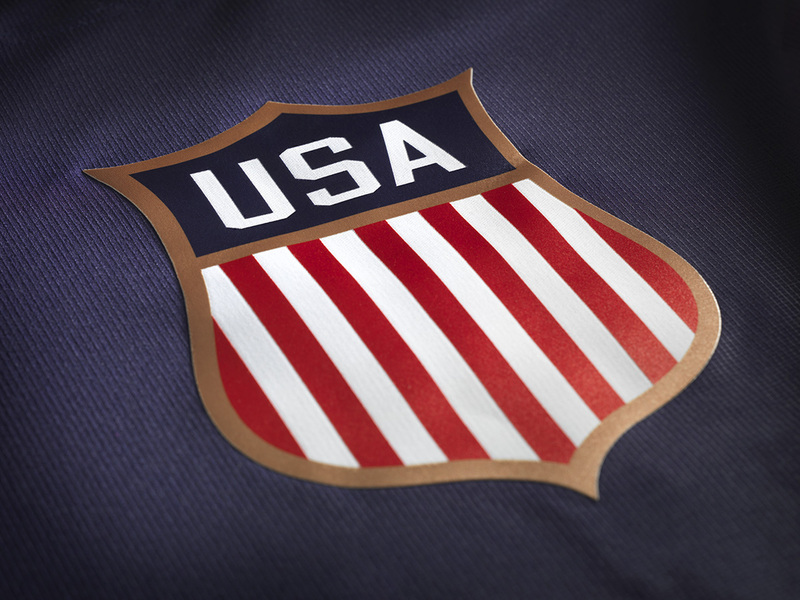 USA Hockey’s “pipeline” if you will is a detriment to developing their elite players; why not develop the USHL into an even better league then it already is…thus developing all your players and not just a core. OR, support and encourage top US elite players to enroll into CHL clubs; let’s be realistic, top end players going to the NCAA don’t have a long tradition of staying more than two years anyway. How does any of this developmental talk factor into this; well, I noticed the US played a dump and chase game against Team Canada (when the US had the puck) that looked awfully similar to the NCAA style of play. Vice Team Canada, who played a puck possession game, eerily similar to that of the CHL. As a reader you can draw your own conclusions from that statement; statistics speak for themselves. At the end of the day, the US players are great players, and although disappointed, we wish them the best of luck. One final thought, Patrick Kane, John Carlson and Jonathan Quick were beasts over the past two games. BTW Rick…your right, our backyard rinks last six months especially in the Soo. The US had maybe 5 players who would have made the Canadian team, they di ok considering. They beat up on the weak sisters, then when they played the real teams they could not handle it. Playing offese does not win these tournaments, defense wins it. And Dan Bylsma got outcoached so badly it was pathetic. Had no asnwer to the line matching or tactics. It was men against boys on the ice and behind the benches as well. David has it on the coaching. I wouldn’t be so quick to dismiss the American players, but in terms of coaching it was a universe of difference. Going against Canada Babcock was changing lines more than a mother changing her newborn’s diapers. It was like Rommel versus Auchinleck in World War 2. He was in a league of his own and Bylsma was flaccid. Against the Fins Bylsma thought a losing strategy would work. He didn’t change anything! No wonder the team didn’t play with heart…the coaching/management sure as Hell didn’t care. I guarantee if Bylsma shook up the lineups for the Finland game the team would have played with more urgency. But he stuck with a losing formula. He should be ashamed.